Today marks a pretty amazing milestone in my financial history! I managed to finally pay off my credit card! I can't tell you how amazing it was seeing my online statement at a zero balance when I woke up this morning. This, of course, was made possible by a very generous work bonus. I even have a little extra left over. 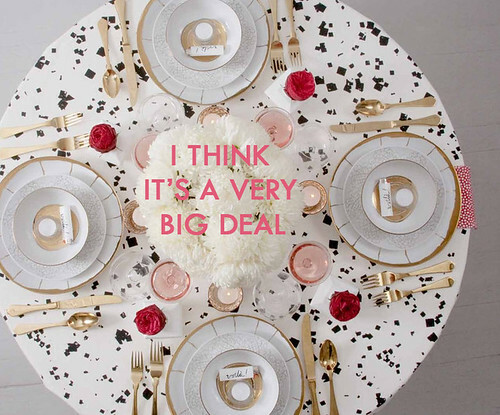 I feel like recreating this beautiful table scape and celebrating with a glass of champagne.